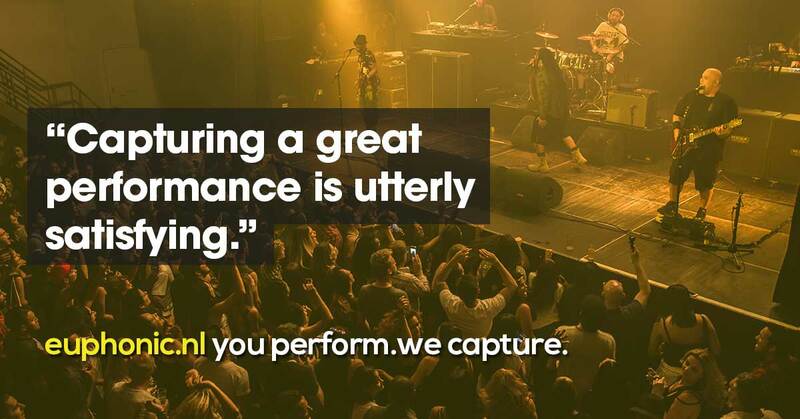 for performing artists, musicians, bands and music venues. We produce high-quality and highly engaging film & video content of your live show, concert, gig or performance. We make your music visible. A live registration of your concert deserves the best audio possible. Multitrack recordings and Post-production. We take care of that too. Stream your show or event with high-quality audio and film. We fully facilitate your own broadcasts for online engagement. Think about that! Capturing a great performance, complete with all the atmosphere of that evening, is a hugely rewarding experience.